Molecular modeling and simulation can provide crucial insights into the structure, dynamics, and interactions of various systems at the molecular level, to both complement and enrich experimental measurements. Computational and Modeling Core of the UMass Institute for Applied Life Sciences (IALS) provides expert consultative and collaborative services to both academic and industrial partners. As a collaborative partner, we contribute directly to research and development, such as performing simulations, interpreting results, providing actionable decisions, and preparing materials for scientific manuscripts and grant applications. We also assist scientists who are unfamiliar with computational tools and high-performance computing to apply these techniques in their research projects. 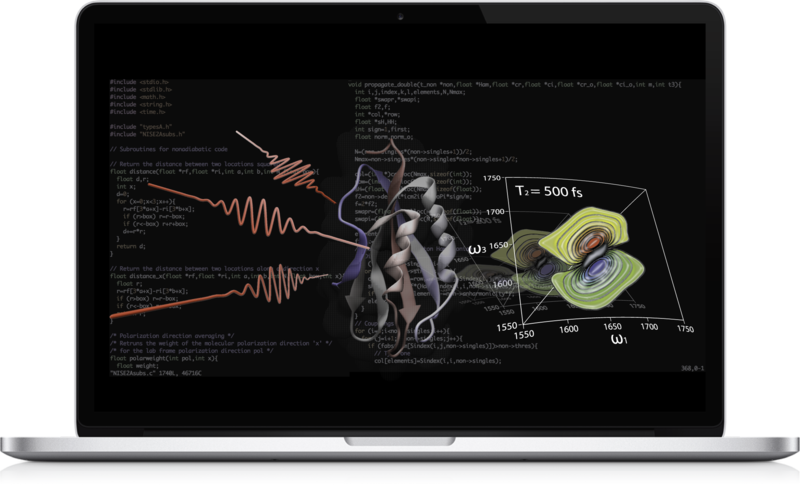 Our expertise includes ab-initio/classical molecular dynamics simulations, quantum chemistry/electronic structure calculations, computational spectroscopy, small molecule design, and protein-ligand docking and screening. The core has strong expertise in a wide range of molecular modeling and simulation techniques at coarse-grained and atomistic scales. These computational techniques allow one to probe the structure, dynamics, and interactions of biomolecules and biomaterials at a wide range of time and length scales, and can provide important insights at molecular level that are otherwise difficult to access using experimental approaches. We seek to make strong connections to experiment in our modeling and simulation efforts and aim to integrate computation and experiment to solve problems broadly related to biomolecules and biomaterials. Infrared spectroscopy is a promising tool to study structure and dynamics of biological systems, However, detailed interpretation of experimental spectra relies on modeling and simulation. Computational spectroscopy is an emerging field that bridges the gap between simulations and spectroscopy experiments. It allows direct comparison between simulated and experimental spectra, so that the spectral features can be interpreted in atomistic detail. A wide variety of molecular systems has been studied extensively using computational spectroscopy, such as soluble/membrane proteins, ionic solutions, lithium-ion battery electrolytes, and bulk/interfacial water. To complement our tools for modeling macromolecules, we offer a number of services for performing small-molecule in silico operations. Thus, small-molecular weight compounds of natural, synthetic, or designed origin can be processed to yield properties through individual or en masse 2D-to-3D conversion, geometry optimization, followed by property prediction at various levels of theory or QSAR analysis and data extrapolation. Quantum mechanics calculations can also be used to assess reaction energetics, transition state geometry, orbital and spectroscopic properties of solvated molecules or receptor-bound ones. Rapid screens of virtual libraries using fingerprint, descriptor, shape or 3D pharmacophore similarities (and dissimilarity counter-screens) can be used to down-select candidates for follow-up higher-precision in silico manipulations. 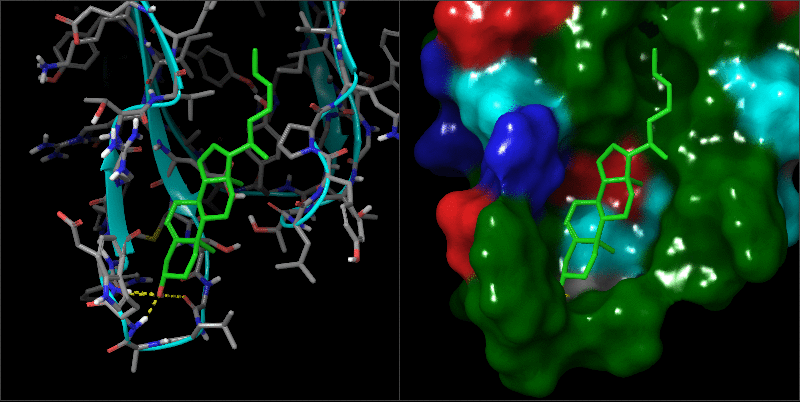 Appropriate atomistic models of macromolecules for virtual screening (docking) will be prepared through homology modelling (if necessary), optimization of protonation/tautomerization and conformational states via Induced Fit Docking and/or molecule dynamics simulations. Small-molecule binding sites will be predicted (if unknown), and the resulting models will be ranked and/or validated with panels of known actives, if available. Pikes: An in-house GPU cluster with a total 704 Xeon cores, 176 Titan X Pascal and GTX 1080 GPU cards, and 396 TB storage. We seek long-term collaborators/users both in academia and industry for biological and chemical-related research projects. The initial project consultation/discussion will be free of charge. In the exploration phase (typically for three months), a project initiation fee of $3,000 will be charged once the modeling/simulation approaches prove the feasibility and provide insights into those research questions. For the following phases, a financial plan for service charge will be customized upon mutual agreement of both parties. Dr. Liang received his PhD in University of Groningen, the Netherlands. He is currently a staff scientist working at Computational and Modeling Core Facility in Institute for Applied Life Sciences (IALS). His research focuses on understanding structural and dynamical properties of chemical/biological systems, such as ionic solutions, lithium-ion battery electrolytes, membrane proteins, lipid bilayers, and vesicles. In addition, his expertise in computational spectroscopy provides detailed interpretations for nonlinear optical spectroscopy experiments, which are extensively used to probe a wide variety of molecular systems in condensed phases. Dr. Savinov obtained his PhD in Chemistry from Yale University. Currently, he is an Extension Associate Professor of Biochemistry and Molecular Biology in University of Massachusetts, Amherst. 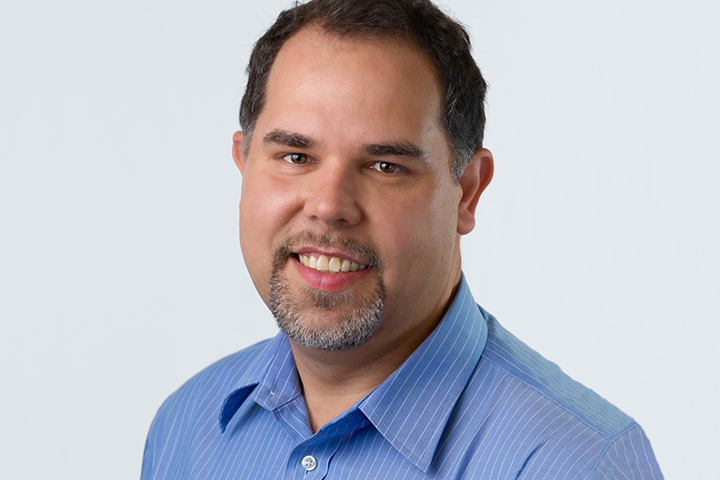 He also serves as a Co-Director of Small-Molecule Screening Facility at UMass Medical School, where he offers integrated cheminformatics and computational modeling services for the purpose of discovery and further elaboration of drug candidates. His research interests aim to discover and harness medicinal properties of plant-derived metabolites, with particular emphasis on resistance-resilient solutions for antibacterial, antifungal, and antiparasite control. Additional information about Dr. Savinov can be found at: https://www.umass.edu/biochem/faculty/sergey-savinov/. Dr. Chen received his PhD in University of California at Irvine. He is currently a Professor of Chemistry and Professor of Biochemistry and Molecular Biology in University of Massachusetts, Amherst. 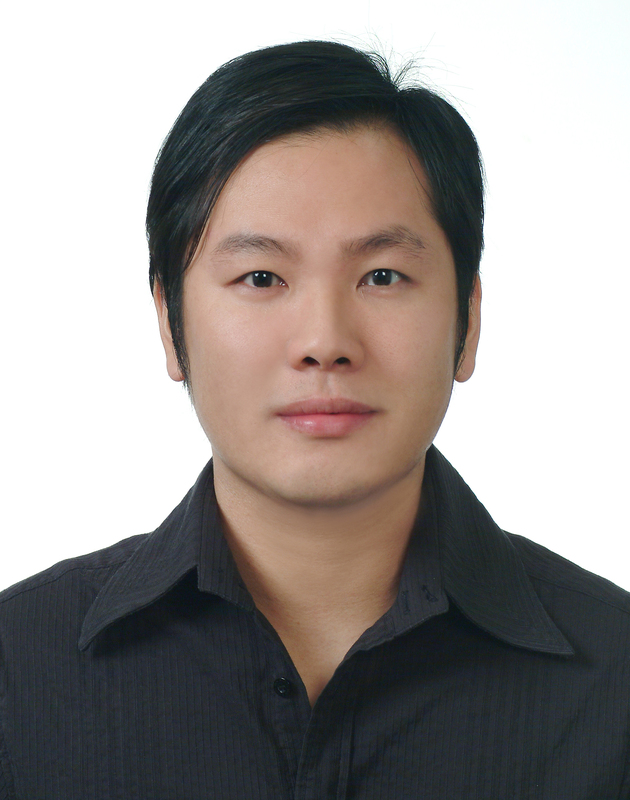 His research interests are mainly in the development of advanced computational methods and their applications to the study of biomolecules and biomaterials. One of the particular emphasis has been on understanding how intrinsically disorder of proteins mediate function and how such functional mechanisms may be altered in human diseases. Additional information on Dr. Chen and his research can be found at: http://people.chem.umass.edu/jchenlab/. Dr. Ma received her PhD in Molecular Biology from the State University of New York. She is currently an Associate Professor in Department of Biochemistry and Molecular Biology in University of Massachusetts, Amherst. Her lab studies genetic mechanisms that sustain structural and functional flexibility while maintaining the integrity of the organism using the model fungal system Fusarium oxysporum. Specifically, Specifically, her research combines experimental and computational biology approaches to study the molecular interactions within the genome and between the “core genome” and the horizontally transferred chromosomes, to investigate the plant-fungal interactions using a Fusarium-Arabidopsis pathosystem for the development of optimized management strategies to control the Fusarium vascular wilt diseases; and to dissect virulence factors that contribute to emerging infectious disease using Fusarium-animal model systems for the development of novel therapeutics. Dr. Martin obtained his PhD in Chemistry from California Institution of Technology. He is currently a Professor in Department of Chemistry in University of Massachusetts, Amherst. The overall goal of his research is to understand the chemical and enzymological basis of complex and fundamental processes in biology. His research group combines the powerful quantitative tools of biophysical chemistry with equally powerful techniques found in modern molecular biology to provide detailed information on specific chemical interactions in enzymology. Dr. Sherman received his PhD in Physics Chemistry Massachusetts Institute of Technology. He was Global Head of Application Science at Schrodinger, where he lead research efforts in broad areas, including induced-fit docking, water thermodynamics, free energy simulations, custom method development, and modeling services. He is currently a CSO of Silicon Therapeutics, leading physics-based simulation efforts and overall scientific strategy for the company. He is also the Founder and CEO of MolySym, Inc. Dr. Sherman has co-authored over 80 peer-reviewed publications with an emphasis on drug design and protein-ligand interactions. Z. Jia, A. Beugelsdijk, J. Chen and J. Schmit, “The Levinthal Problem in Amyloid Aggregation: Sampling of a Flat Reaction Space”, J. Phys. Chem. B 121, 1576-86 (2017). K. H. Lee and J. Chen, “Re-balancing the GBMV implicit solvent protein force field for accurate simulation of protein conformational equilibra”, J. Comput. Chem. 38, 1332-1341 (2017). D. Ganguly and J. Chen, "Modulation of the Disordered Conformational Ensembles of the p53 Transactivation Domain by Cancer-Associated Mutations", PLoS Comput. Biol. 11(4): e1004247 (2015). Z. Jia, S. K. Whitaker, J. M. Tomich and J. Chen*, “Organization and structure of branched oligopeptide bilayers”, Langmuir, 32, 9883-9891 (2016). S. N. Savinov, A. P. Heuck, “Interaction of Cholesterol with Perfringolysin O: What Have We Learned from Functional Analysis?” Toxins. 9: E381 (2017). K. B. Dagbay, N. Bolik-Coulon, S. N. Savinov, J. A. Hardy. “Caspase-6 Undergoes a Distinct Helix-Strand Interconversion upon Substrate Binding” J. Biol. Chem. 292: 4885–4897. O. Fatunmbi, R. R. Abzalimov, S. N. Savinov, A. Gershenson, I. A. Kaltashov. “Interactions of Haptoglobin with Monomeric Globin Species: Insights from Molecular Modeling and Native Electrospray Ionization Mass Spectrometry. Biochemistry. 55: 1918–1928 (2016). J. Escoffier, H. C. Lee, S. Yassine, R. Zouari, G. Martinez, T. Karaouzène, C. Coutton, Z. E. Kherraf, L. Halouani, C. Triki, S. Nef, N. Thierry-Mieg, S. N. Savinov, R. Fissore, P. F. Ray, C. Arnoult. “Homozygous mutation of PLCZ1 leads to defective human oocyte activation and infertility that is not rescued by the WW-binding protein PAWP” Hum. Mol. Genet. 25: 878–891 (2016).